When I was at work, I had to present a course on development and training. An example I used was how we teach a youngster to walk. I stood at one end of the room, arms outstretched, ready for a quick catch and I pretended to call the toddler across the expanse of the office. It was silly, but it made the point. 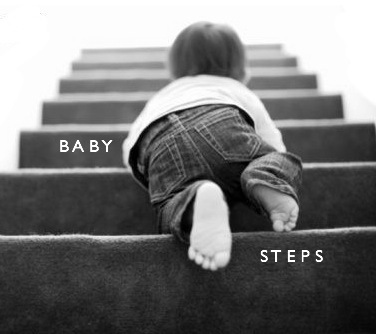 When we teach a child to walk we stand close, just a foot away and they take tiny steps to reach us. That's important when you learn a new skill, if you try to do too much too soon you can't do it and become despondent. I have found this theory applies to many other things and baby steps are the best way. So baby steps it was. I had already decided to go down the independent author route, having read a couple of blogs and been convinced it wasn't just people writing books for their Aunt Hilda to read. I realise this even more now, having met some authors who are earning are over £40000 a year. I will not be in that league, they write six novels a year and work incredibly hard, but to me it was a new discovery, a profession and something to be taken seriously. What should I do - what would be my first baby step? Here's where I chickened out a little, I enjoy fiddling around with IT - to me it's annoying and often frustrating, but I get there in the end, so I decided to start with a website. Click on the photos if you would like to take a look at those websites. 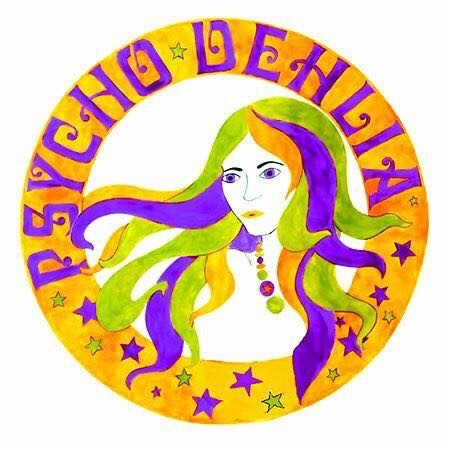 If you are going down this route, the first thing you will need is a website address there are lots of providers around, I bought PsychoDehlia.com from 123. But have since moved onto SiteGround. 123 was fine, but I wanted all my websites hosted in one place and SiteGround were doing a deal. It's been great ever since. The Cold Sunflowers domain name cost about £15.00 for two years. If I was doing it again, I would have bought my author name and then had my books listed under that, but you learn from your mistakes. You also need someone to host your webpage. SiteGround do this but you have to pay for it - they do BIG discounts for the first year but then it will cost about £80.00, so remember that. What I did was use a company called Pigdig for the style of my website and you can buy a theme from them for £39. Once you have done this, you can click a link on the Pigdig website which will take you to SiteGround where you can purchase a hosting package. It takes time to sort things out, but it is doable - with Pigdig you can download free 'plugins' for the website which make life easier. I would recommend Contact Form 7 (a simple contact form) - Page Builder by SiteGround (allows you to design your pages/posts) and Yoast SEO (which helps link you up with Google Analytics and gets your website found on the internet). If you would like any advice regarding setting up a website, then please feel to contact me.